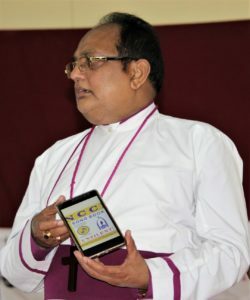 NCCI SONG BOOK and Mobile App comprising traditional hymns, contemporary and ecumenical songs from various regions in India were released in the course of NCCI’s Executive Committee Meeting on February 14, 2017 at UELCI, Chennai, by Rt. Rev. 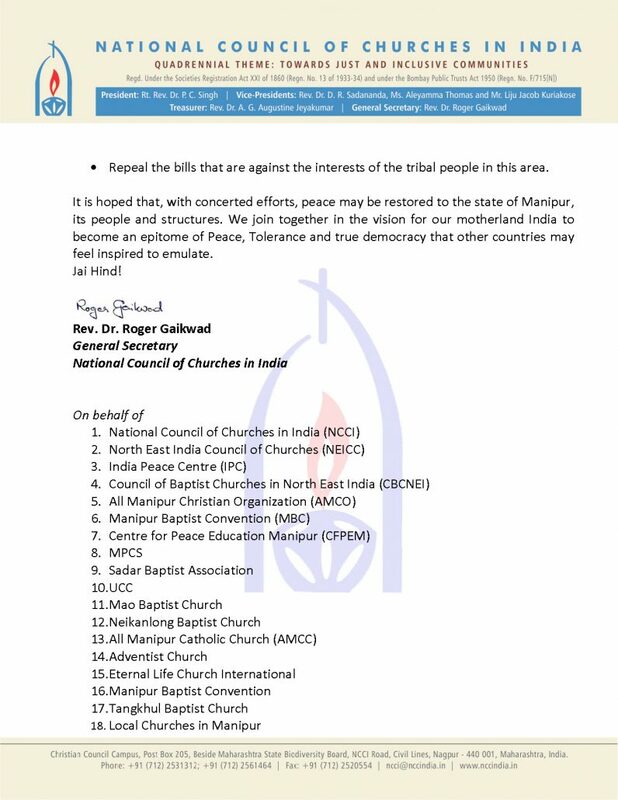 Dr. P. C. Singh, President of National Council of Churches in India and in the presence of NCCI Treasurer, Rev. 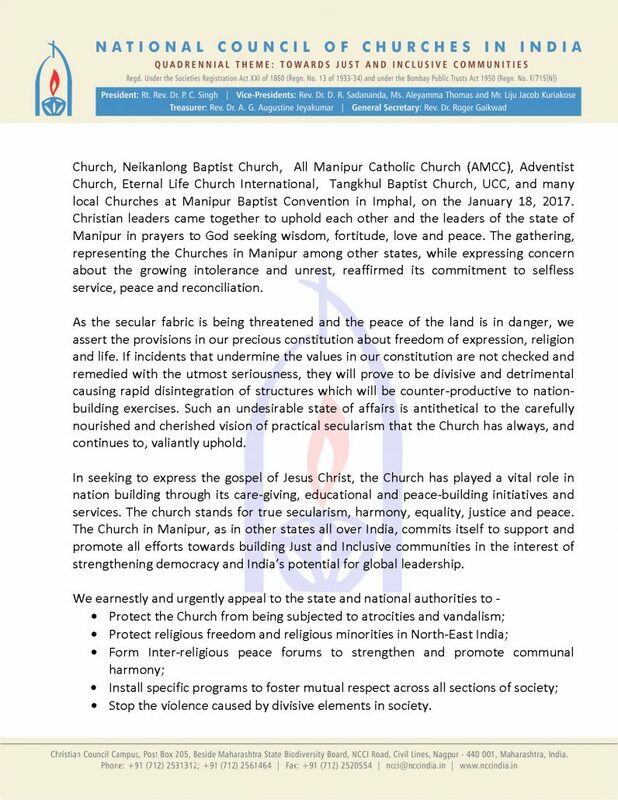 Dr. A. G. Augustine Jeyakumar, NCCI Vice Presidents, Mrs. Aleyamma Thomas and Mr. Liju Jacob Kuriakose, and NCCI General Secretary, Rev. Dr. Roger Gaikwad. http://ncci1914.com/wp-content/uploads/2017/02/IMG_20170117_155548.jpg 1080 1920 Caesar David http://ncci1914.com/wp-content/uploads/2018/05/NCCILOGO105-300x72.png Caesar David2017-02-10 19:01:232017-03-14 16:42:29Manipur Situation: Appeal letters to Prime Minister and National Commission for Minorities, India. 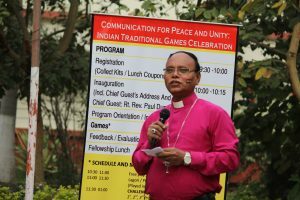 NCCI Commission on Communications in partnership with India Peace Centre (IPC) and Christian Service Agency (CSA) organized an event on ‘Indian non-formal Games ’ at NCCI Campus Nagpur on 26th January 2017. 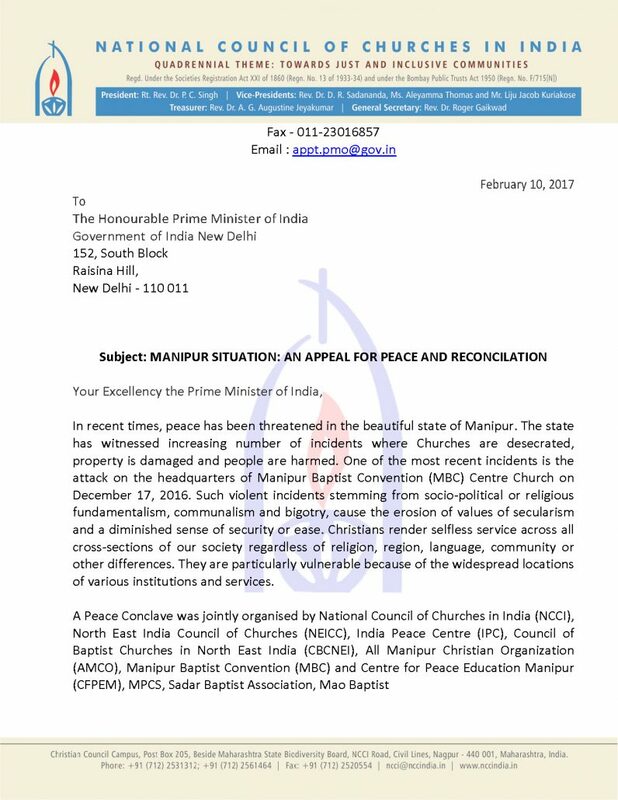 The theme of this unique event was ‘Communication for Peace and Unity’. The main focus of this event was to promote peace, friendship and unity through games and help break barriers of communication, encourage low cost gaming and socializing. There were participants from various churches along with some children who participated in the event. This event started with registration. 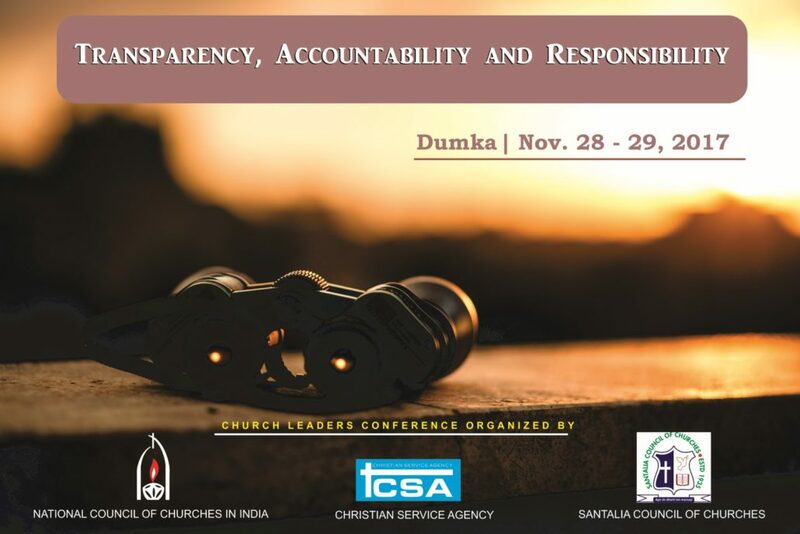 After registration, I was privileged to welcome all the church leaders and participants. Rt. Rev. 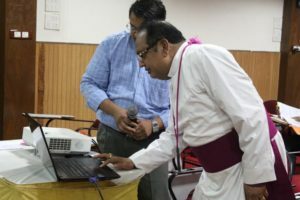 Paul Dupare (Bishop, Nagpur Diocese, CNI) inaugurated the event with a word of prayer. Miss Simran, intern from IPC gave instructions to all participants regarding rules of the games. There were so many traditional games like Gilli Danda, Lagori, spinning tops, playing with marbles, tyre race, skipping etc. All the persons present participated enthusiastically in the games . The first round was ‘free practice and get together’ round. 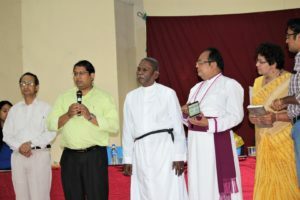 The participants from different churches and organizations had a time to interact with each other and practiced together. 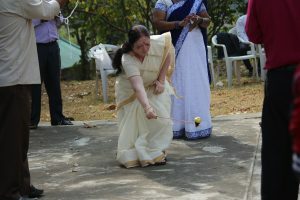 I noticed that even senior participants were fully involved in the games and enjoyed them thoroughly. Mr. Kasta Dip led the evaluation session. All participants shared their thoughts and what they learnt from this event. Rev. Arif Umer Saheb said the closing prayer after that all participated in a fellowship lunch. 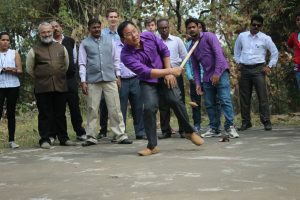 The Indian traditional games event was successfully organized and participants from different churches and organizations app reciated the concept of playing together for communication and peace-building processes. Playing games of yester years was a very emotional experience for many participants who played the games as kids. Reconnecting with their childhood evoked not only child-like happiness and appreciation of simple joys but also inspired child-like mutual trust and loving harmony. This event helped us to understand the importance of sports in peace building in our society. Sports can bring people together towards a common goal, while promoting respect and community with others. By building relationships between different groups, conflict can be transformed. In addition, sports can be used to impart values of good sportsmanship, teamwork, respect and communication skills needed to reduce tensions and prevent conflict. Programme Assistant – NCCI Commission on Communications. 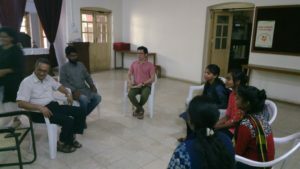 Mainstream media is often found to under-represent the interests of people in the margins of society such as the dalits in India who are outcaste. In this context, the lack of channels and inability to communicate their own concerns and bring to the fore their experiences of discrimination, has led to ignorance, unaddressed issues of inequality, inaccessibility to basic services, neglect, denial of rights and exclusion from the processes of decision-making and policy-making. 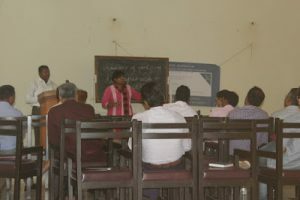 The emerging consciousness about importance of Information and Communications Technology in the exploration of alternative media to create communication spaces can lead to the creation of pathways to digital frontiers that provide solutions towards affirmation of communication rights and implementation of inclusion concepts. 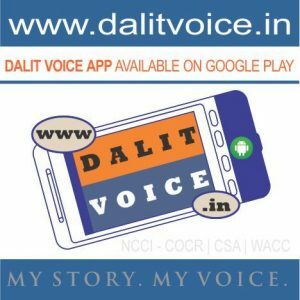 http://ncci1914.com/wp-content/uploads/2016/11/dalitvoicebadge.jpg 470 468 Caesar David http://ncci1914.com/wp-content/uploads/2018/05/NCCILOGO105-300x72.png Caesar David2016-11-04 16:57:542016-11-07 11:28:02DIGITAL REPORTING TOOL FOR DALIT EMPOWERMENT Launched.